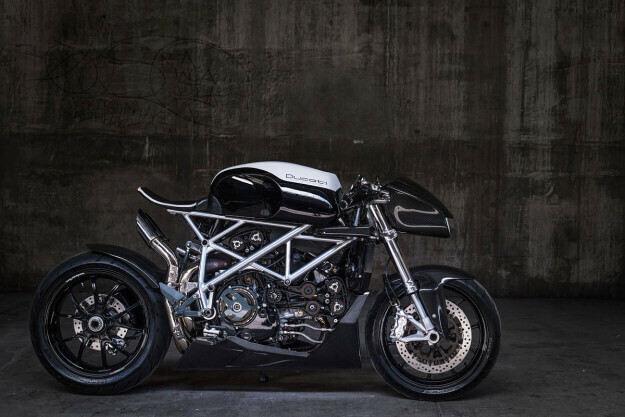 Unconventional & Experimental Custom Ducati 848 Cafe Racer - ‘Le Caffage’! 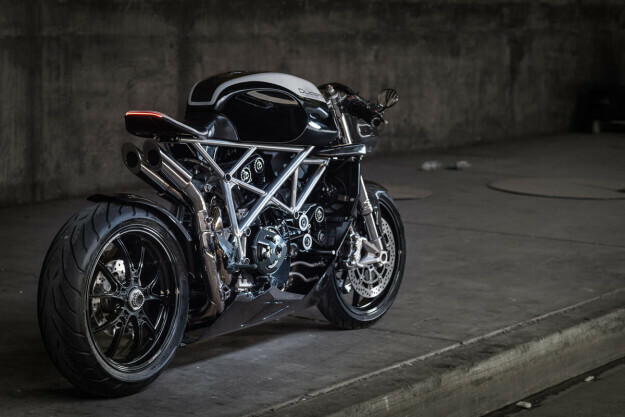 Unconventional & Experimental Custom Ducati 848 Cafe Racer – ‘Le Caffage’! 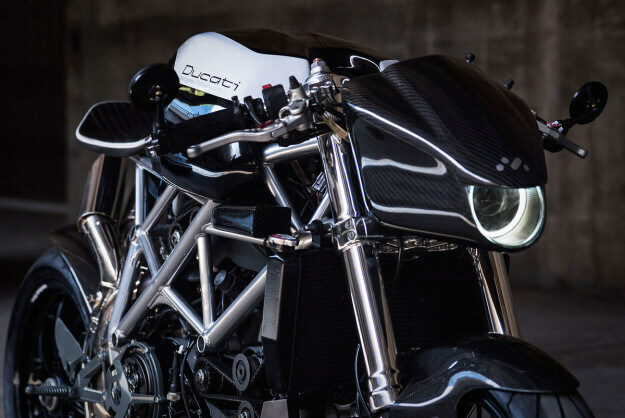 This mean and aggressive carbon fiber machine was created by Gustavo Penna. 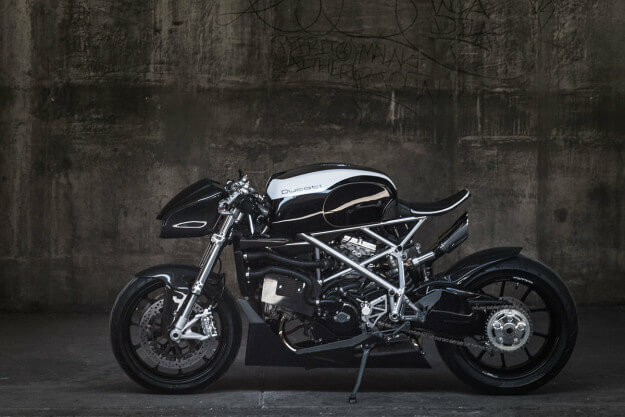 It’s unconventional and experimental futuristic cafe racer. 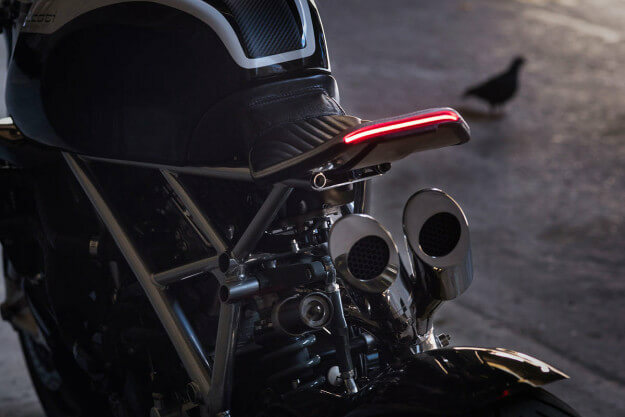 The bike has been remodeled to give the whole thing a very predatory stance, from the over sized petrol tank, to the slender front fairing. The engine has been also upgraded with NCR parts, including titanium valves, a slipper clutch, fixings and connecting rods from Pankl and Ferracci pistons! 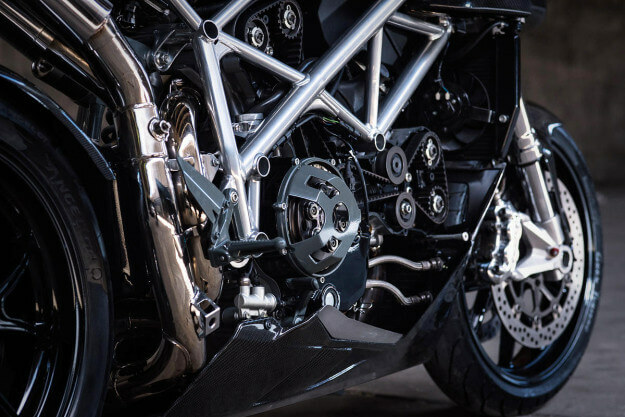 Among other things, it features carbon fiber headlight and exhausts that were hand crafted in stainless steel! Cougar Cycle – Mercury Cougar turned into a motorcycle! CR&S VUN – Sporty Motorcycle Developed For Versatility & Comfort! See Inside The GE9X, The World’s Largest Jet Engine! Top 10 failed attempts – When drifting goes wrong!!! Check out the epic Tokyo Drift soundtrack and see some serious drifting actions!